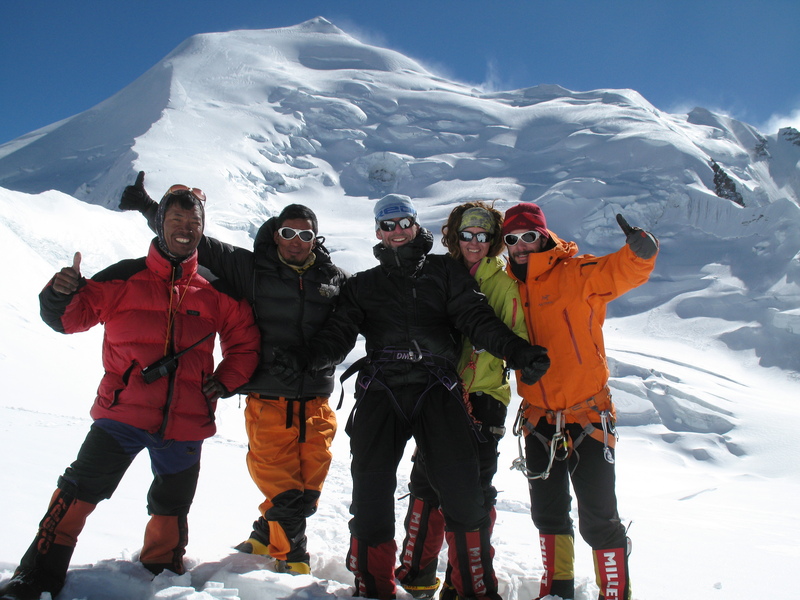 Pumori Update received 24/10/04: Congratulations to Oddvar Njaa and Kjell Haugvaldstad who, along with our climbing Sherpas reached the summit of Pumori on Sunday 24th October. The rest of the team turned round at around 7000m. All are now safely back in Base Camp and hope to start their trek out this morning. Pumori Expedition 25th October 2008. 18th Nov The team are now back in Namche having all successfully climbed Island Peak, they will head down to Lukla tomorrow and then fly back to Kathmandu the day after. Pumori 25 October 2006 Expedition News. 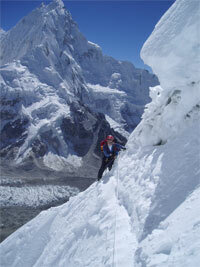 2/11/06: After leaving Pumori decided to first tackle Lobache East. Today we received a satellite phone call to say that all the team had summited and were now back down at base camp. After a rest day the team are planning to move over to Island Peak and make an attempt on the less frequently climbed North Ridge. 27/10/06:The team have moved up to ABC, and have ventured onto the mountain to assess the conditions. Unfortunately conditions are not good enough to progress to Camp 1. The team are now considering moving across to Island Peak & Loboche East in order to make the most of their time in Nepal.